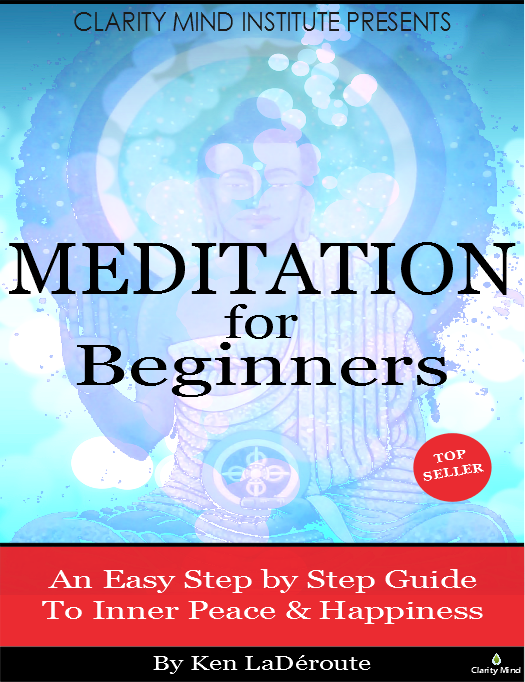 Meditation for Beginners offers an easy step-by-step guide that teaches you how to do mindfulness meditation so you can relax your body quickly and easily, improve mental focus and reduce stress for lasting inner peace and happiness. This book teaches you practical exercises so you can learn how to meditate at home, at the office or on the road. Meditation for Beginners describes the many psychological, emotional and spiritual benefits that a beginner can derive from simply learning how to meditate. Check your pop-up blocker if the download box does not pop up immediately upon clicking the download link. This meditation is 29 MB and will take time to download depending on your internet speed and connection. Please be patient. >> Do not listen while driving or operating heavy equipment. >> Do not listen to this exercise if you have a history or tendency toward seizures. Each Clarity Mind Meditation audio track is embedded with binaural beat technology. Use stereo headphones for best results. You can meditate at any time of day. Some people like to start their day off with meditation, others like to end the day by clearing their mind, and some prefer to meditate in the middle of a busy day. The easiest time to meditate is in the morning, before the day’s events tire your body and give your mind more things to think about. When you put meditation first, this tells your body, mind and psychology what you consider to be top priority. Starting your day with meditation allows peace, focused attention and present-moment awareness to spill over into your work, relationships and leisure. We are creatures of habit. Meditating at the same time and in the same chair everyday serves to reinforce your practice. Sitting in the same location becomes a vibrational pull to help you stay disciplined. To further help, why not make your space sacred. Include your favorite books, photos, candles and incense to help you stay on course. The effects of meditation are most noticeable when you do it regularly and consistently. The key to success with meditation is commitment and consistency. To change a habit NASA scientists tell us that it generally takes 30 days for new habits and thought patterns to form. Consistency is key. As you become more adept, meditation will spill over to all aspects of your life – your whole day will become a meditation. You don’t have to twist your limbs into a lotus position or adopt any unusual postures in order to be successful at meditation. Sit in an upright position without being too rigid. Shoot for being able to sit in stillness for a while, so get comfortable. Sit in a straight back chair, or prop up your back if you like. It’s best not to meditate while lying down because you are likely to fall asleep. When you try to meditate after a heavy meal, your energy is oriented toward digestion. Eat light fare before your practice or preferably nothing at all. Your attention should be light and focused in the frontal regions of the brain, not on digestive processes. You’ll find it much easier to concentrate. By all means, get comfortable. Wear loose clothing, take off your shoes, wrap yourself in a shawl or blanket – stay warm. If you have an itch, stop and scratch and continue with your focus.